Known as the zinc grades – zinc being the largest alloying element, the 7000 series grades are the hardest and strongest commercial grades of aluminium. Grade 7075 is the most common of the 7000 series grades. 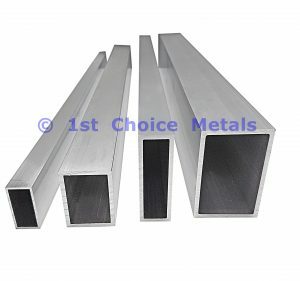 It is a very, very high strength alloy; the strongest of all commercial grades of aluminium. In fact, grade 7075 aluminium is stronger than many types of mild steel. Please contact us with your enquiries for grade 7075 aluminium. Grade 7075 aluminium has fair corrosion resistance. While it performs nowhere near as well as the 1000 or even the 6000 series grades, it has better corrosion resistance than the 2000 series grades. Grade 7075 in T6 temper is not suited for cold forming or bending. The chances of success are increased if the work piece is heated. Grade 7075 aluminium is suitable for protective anodising & hard anodising. If colour anodising is required, only dark colours should be considered. 7075 aluminium alloy is unsuitable for bright anodising, however it is perfectly suited to powder coating.